Scoop up your plastic eggs and get a fantastic Easter egg hunt organized for your church, family, neighborhood or community this year. Use these 30 tips and ideas to plan a great hunt that is sure to become an Easter tradition. Designate the Hunting Area - Get permission if you are using a community space. Keep in mind that if you are using a public space for a private egg hunt, you might have unsuspecting children there as well. Either plan to include them or plan a more private location. Have a Backup Plan - Check the weather and depending on the forecast, consider reserving an alternate venue such as a school or church gym. Put out some “obstacles” such as folding chairs or gym toys for hiding eggs. Provide Healthy Snacks - Before the hunt, stave off candy gorging by asking volunteers to bring a snack to share, such as a fresh fruit tray, pretzels, cheese blocks with crackers or other filling treat. 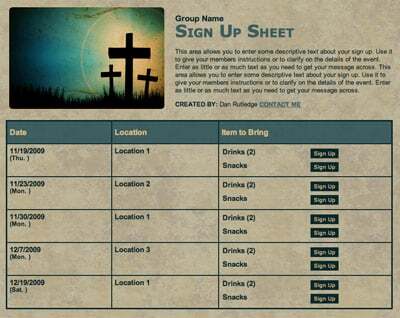 Genius Tip: Create an online sign up to avoid duplicates. Estimate Attendance - The worst thing is not to have enough eggs for all the kids who show up. If it’s a smaller event, ask each family to donate a dozen eggs filled with treats and designate a drop off point with a deadline for the day before the hunt. If it’s a larger community or church event, publicize the event ahead of time but plan for at least a couple of hundred kids, to be safe. At worst, you can donate extra eggs to a good cause. Plan on about eight to 10 eggs per guest. Remember Food Allergies - Rope off a section for kiddos with allergies and hide dairy and nut-free candy (there are many online lists to use as a guide) so no one feels left out. You can also include some eggs with small toys for those whose diets are even stricter. Recycle Eggs - Most parents don’t need to bring home a dozen plastic eggs, so if you plan to recycle them, provide a goodie bag for each child so they can stash their haul. One fun idea is having a box decorated to look like a bunny with an open mouth and have participants try to toss the empty eggs inside — making collecting easy and fun! Do rabbits eat eggs? This Easter they do! Send kids according by age in three or four waves (you can also do some more strategic hiding for older ages). Give about 15 minutes for each hunt so your event doesn’t stretch out all day. Pair up younger and older “helpers” and have them split what they collect. For smaller groups, have equal numbers of different colored eggs and have each child collect his own color. Close it Down - If you are hosting a neighborhood hunt, consider temporarily blocking your street. Depending on how busy it is, a cul-de-sac is great — just contact the neighbors first! Double check with the police department and city’s department of transportation (give four weeks lead time) to request a temporary closing of your street and use multiple yards for your hunt. Make it a Fundraiser - If you are planning a large community or church event, add a food truck or pancake breakfast (a good way to raise money for an upcoming mission trip, too!) to make your hunt extra special. Say No to Helpers - This may seem like an unspoken rule, but ask parents not to help children unless they have special needs or are under the age of three. It spoils the fun when Timmy’s dad is mowing over other people’s kids to help fill his basket. Plan a Potluck Brunch - If adults want to linger after the hunt, ask guests to bring a potluck brunch dish, and have older children do face painting or organize some games like sack races and an egg toss. Genius Tip: Try these 25 Easter games and activities for more entertainment. Freeze Hunt - Add an extra layer to the chaos by doing a freeze hunt where music plays and everyone has to freeze when the music stops. Those who don’t stop in time have to re-hide an egg in their baskets when the music starts. Challenge Stations - Set up some challenge stations at your hunt and have some eggs include a challenge inside. When kids find the egg, they run to the station and complete the task to get candy or a prize. Include easy challenges like throwing a ball through a hoop, jumping rope five times, five jumping jacks or something silly like telling a joke or spelling a word backwards. 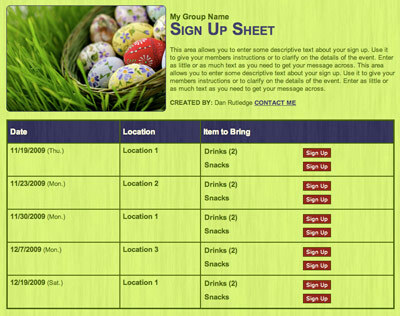 Photo Hunt - For teens, create a photo hunt where, in addition to collecting traditional Easter eggs, they look for special eggs that they open up and take a picture of with their phones that tell the Easter story. (Look for DIY resurrection egg ideas online.) When they return to the host of the hunt, they will show their series of pictures and get a small gift card for coffee or to a local store. Rhyme Time - Have lines of a poem or letters inside a few eggs that spell a word, which is shared with participants before the hunt. When kids find these letter- or word-filled eggs, they help complete the word or poem. It’s a fun way to make your hunt last a little longer. Pieces of the Puzzle - Another creative idea to get kids working together is to buy a puzzle and put the puzzle pieces inside some of the eggs and have kids assemble the puzzle after the hunt. White Elephant Egg Exchange - For a surprise ending to your hunt for older children, hide eggs that include small prizes and gag gifts. Have participants at the end of the hunt pick one egg (no shaking allowed) and let them keep it or exchange with someone else’s egg — white elephant exchange-style. In the Dark - If you are hosting a hunt for older children, a fun twist is to do a glow-in-the-dark hunt, filling neon eggs (larger sizes work best) with glowing bracelets and a small piece of chocolate or jelly beans. You can also buy eggs that are specifically made to glow in the dark. Flashlight Hunt - Another night hunt idea for older children is to hide eggs (spray paint your eggs black for an extra challenge) in the grass and have a flashlight egg hunt! Easter Egg Bingo - In addition to your traditional hunt, create a bingo card with special stickers in each square and then stick those same stickers on corresponding “bingo” eggs that are well hidden at your hunt site (this is great for slowing older kids down a little). Kids don’t grab the special eggs, but leave them where they are found and mark them off their card. When a child marks off a row of the special eggs, they win an extra prize. The Real Deal - Mix hard-boiled eggs (just make sure they all get accounted for!) and plastic eggs and offer special prizes for the real eggs (one or two per child). Another idea is to dye your eggs and have each child search for a designated color. Kids of All Ages - Reverse the egg hunt and have the children hide the eggs for the adults! In Nature - Another reverse hunt idea is to have kids start with a basket of empty eggs and find fun things in nature to put inside. Then come back together after a set amount of time and share your fun finds! Lunch Time - For a family hunt, buy extra-large eggs and have children hunt for their lunch! (Keep this indoors and wash your eggs beforehand!) Include fresh grapes or strawberries, finger sandwiches, crackers, a handful of nuts and some chocolate for dessert! Give kids a menu ahead of time and have them check off the items as they find them. Word Hunt - When kids are of reading age, search for free printables online to create an egg scavenger hunt. 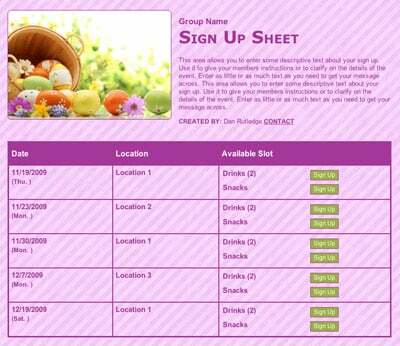 Kids get a sheet of clues or word fill-ins that give them the location of eggs or more clues that lead to their Easter baskets. Bunny Bucks - Slip “Bunny Bucks” into a certain color of egg — allow up to three per child to avoid hoarding — to redeem at the Bunny Hutch Store after the hunt. Have small prizes like mini candy bars, whistles, stick-on tattoos, etc. Race to the Finish - Split participants into teams and have the first person find an egg, return to line to tag the next person and so on. Continue until one team has completed a specified challenge, such as finding a specific number of eggs, two eggs of six different colors, etc. Cheering for teammates is required! Bunny Tracks - For very small people, consider placing the egg on a colorful “bunny track” — a paper rabbit footprint — to help them spot the eggs more easily. If your plastic eggs have holes, thread a pipe cleaner through the holes and stick them in the ground or in a sandbox for easy discovery. Egg Vase - A fun take-home project for each child: crack an egg and empty the contents. Provide a fresh flower with the stem cut very short for each child (or even silk flowers) to put inside their egg “vase.” Cut apart egg cartons and each child has an instant holder for their egg-cellent flower holder. Easter egg hunts are a great way to bring your community together for a springtime gathering. Plus, they are a guaranteed hit with the kids!